Located approximately 6 miles to the southwest of Branson, Shepherd of the Hills Fish Hatchery is the largest trout production facility in the Missouri Department of Conservation trout production program. Construction of Shepherd of the Hills Hatchery began in 1957 and the first trout were produced in 1958. 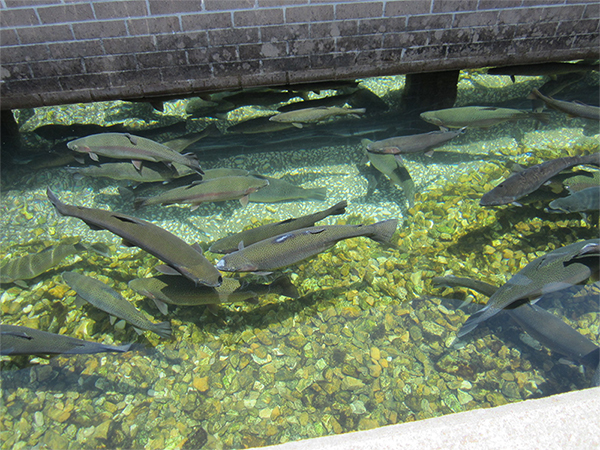 The hatchery typically produces 1,125,000 catchable trout annually, weighing 301,000 pounds. Lake Taneycomo receives 700,000 catchable trout per year with 225,000 of these coming from Neosho National Fish Hatchery in Southwest Missouri. The remainder of the trout produced is stocked within other Missouri trout management areas. 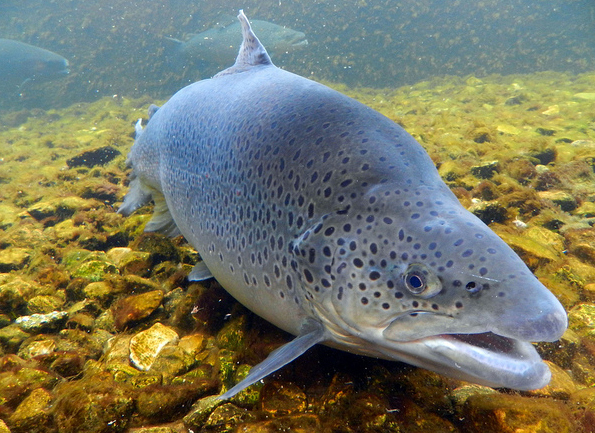 The primary role for this facility is the production of rainbow and brown trout to meet the Conservation Departments management requirements. 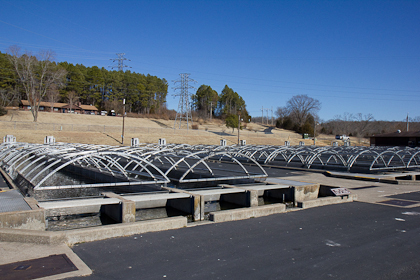 This facility also plays an important role in supplying eggs and fingerlings for grow-out at other Conservation Department trout production facilities. The Shepherd of the Hills hatchery complex occupies 211 acres of land with 84 acres being currently developed. 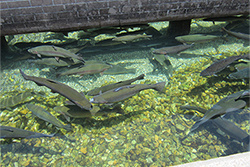 The developed acres occupied by the hatchery include a Conservation Center that receives 250,000 visitors annually and provides a vast amount of information to the public with a focus on fisheries. Also included in the developed area is a hatchery building with various support buildings. The water supply to Shepherd of the Hills is obtained primarily from Table Rock Lake via gravity flow and is augmented by two wells and a raceway educator driven, partial recirculation system. 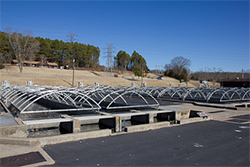 This facility completes all trout production phases. Egg incubation and early rearing is completed in the hatchery building in jar type incubation units, and aluminum/fiberglass tanks. Twelve, outdoor concrete raceways are used for intermediate rearing, and final rearing is completed in twenty outdoor concrete raceways. Three earthen ponds are also used for fish production. 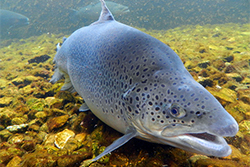 Spawning and broodstock holding operations are accomplished in four separate raceways. Effluents generated from the rearing units are discharged into upper Lake Taneycomo through four permitted outfalls. The close proximity of the hatchery to Branson Missouri attracts over 250,000 visitors to the site annually. The high visitor traffic and the large amount of trout production make this facility a very visible portion of the Missouri Department of Conservation trout production program.